There are situations in life, where fleeing seems ideal. It may be at the podium, when giving a talk to a giant crowd. It may be, when flipping over the exam and looking at question 1. It may be, when sitting in a doctors office waiting for the results. Everything in our very core shouts at us to flee. Our earthy vessels demand me pace, internally ruminate, leave the scene, and hide. However, we are called for something different. Within each of us their is an Anchor. This Anchor is Christ Himself. An anchor holds a ship. Whenever the waves crash and winds do all they can to move the vessel, the anchor holds it into place. The anchor is the roots that stem from the oak tree. 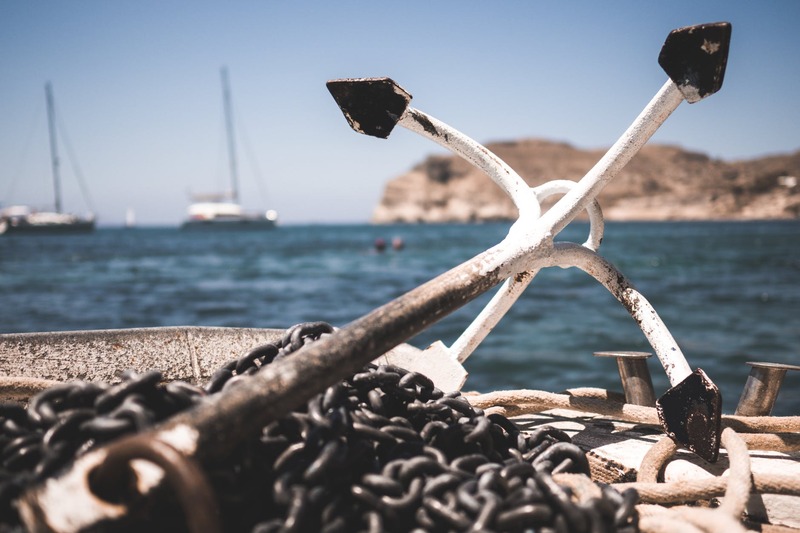 Without an anchor, the boat is subject to all of the external forces. The waves carry it where they want. The winds push it where they want. We are very much like these little boats. Some days we may feel tossed around. Dunked under. Pushed by the wind. This is when we must remember the Anchor within ourselves. We must turn to Christ in our hearts and stand firm. Hold your ground with confidence. When you step up to the podium, remember Christ has you tied down to the ocean floor. When you open that exam book, remember Christ is right next to you. When sitting in the doctors office, remember that Christ is the divine Physician. Let us all remember the Anchor within our very hearts. Each of us had the ability to look within and shout. I am secure. I am safe. I am confident in God’s mercy and providence. Life give me a storm. I am not afraid. I am ready. Next Are you giving it your all? Excellent posting. God bless you.